Home › Electronics › Puredick Laptop Battery For Apple A1322 Macbook Pro 13" A1278 - Constructed B..
Puredick Laptop Battery For Apple A1322 Macbook Pro 13" A1278 - Constructed B.. 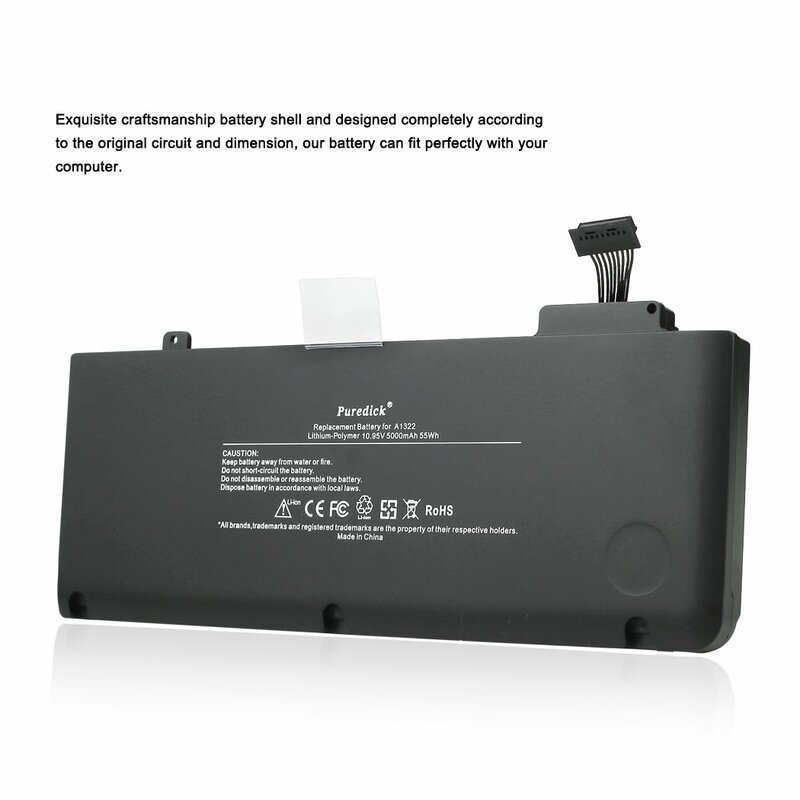 Premium battery: the Puredick battery is made of 100% Grade A cells (Sony) for 5000mAh premium capacity and reliability instead of low grade or recycled cells, support long standby time. Precision-engineered and rigorously tested for voltage , compatibility and safety, 100% OEM Compatible & 100% New Components - Guaranteed to meet the specifications of the original device. High quality connector provides stable input current for safety and durable use; fire-resistance ABS+PC alloy battery shell prevents the damage of computer. Built in advanced and high performance PCB: make it safe with overcharge & over-discharge, over-current & short circuit protection.